CCA is your premiere organizer for adult indoor volleyball tournaments. We make sure that all teams get plenty of playing time, and we focus on continual action, with little sitting between games. Don't miss out on the best adult coed volleyball tournaments in Indiana where teams compete from all over the state! Tournament layout is round robin pool play followed by single or double elimination brackets dependent on team count. 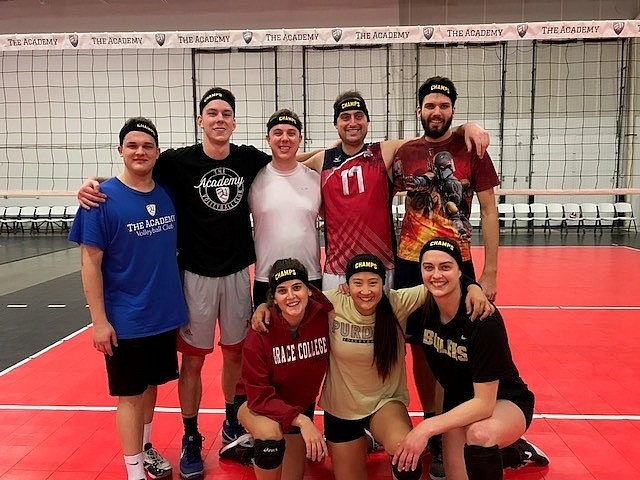 CCA indoor volleyball tournaments are a one evening event that are not part of weekly leagues or their corresponding tournaments. These are single day events that offer multiple hours of play for a great price! CCA appreciates your participation in our volleyball tournaments. We strive to offer the most fun and competitive volleyball in Indiana!